Aluminum RV luggage racks are a great way to get some extra space and take more items with you. These racks can be a convenient solution to the common problem of how to transport more things once you have run out of space inside your RV. Luggage racks on the roof also allow you to make more room for more important items inside the RV. Aluminum racks are well suited for RV use, because the high quality material is incredibly durable and sturdy. It's best to store your less important items in the rack. Specifically, those items that you use less frequently can be securely stored away on top of the RV. RV racks are much more than a great place for extra storage. 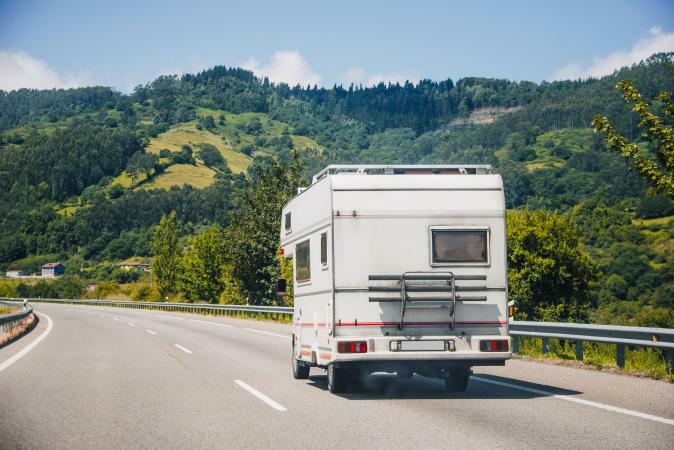 They can help make the interior of the RV feel more like home by having those essential items inside, rather than cluttering the living space with unsightly items that you rarely use. A roof basket is a very good luggage rack that can hold an eclectic combination of items. Aluminum racks, with some fiberglass and steel components make up the material of most roof baskets. They are wonderful for lighter items, and are well suited for mini motor homes. What Items Are Best for Luggage Racks? RV racks are usually accompanied by a ladder system. Sometimes this ladder is attached to the rack, while other times it is a separate unit. You want to make sure that your ladder is very strong, just as you want to make sure that the luggage racks is made of aluminum. Steel is the best material for the ladder. It is also best not to buy an RV simply because it has a wonderful luggage rack. Most RVs, especially luxury motor homes, can accommodate great RV racks. Many people have questions about RVs, especially related to what items they should look for when purchasing a new RV. Many people wonder what type of RV rack they will need to accommodate all their items. When it comes to aluminum roof racks, the main decision depends on specifically what type of items you plan on storing on the roof of your RV. Lighter items are great for roof baskets, while heavy items will require sturdy aluminum roof racks. JC Whitney offers a selection of luggage racks for your RV in many different sizes. This supplier also has luggage racks for cars and trucks. RV Motor Homes Needs is one of the leading suppliers of RV parts and accessories. Theis company offers an extensive selection of aluminum luggage racks. Surco offers a great universal RV roof rack that can fit on any make, model, or year. The one-inch diameter of the aluminum Surco uses provides sturdy support. Aluminum RV luggage racks can be a safe way to transport items on the roof of your RV. The racks are very sturdy and are meant to support the weight of your items. Many people want to save some money and decide to tie their things on top of the roof with ropes or bungee cords. This is not a good idea and can lead to serious problems including damage to your RV and traffic accidents.